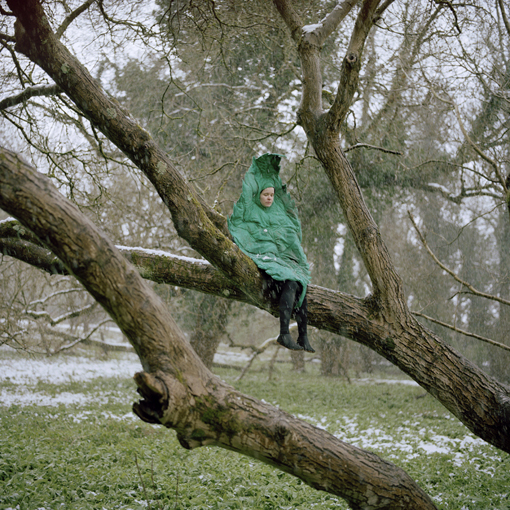 Riitta Ikonen’s work threads memory, myth, imagination and a romantic view of the natural world through a series of long-term projects pursued alone or in conjunction with regular collaborators. 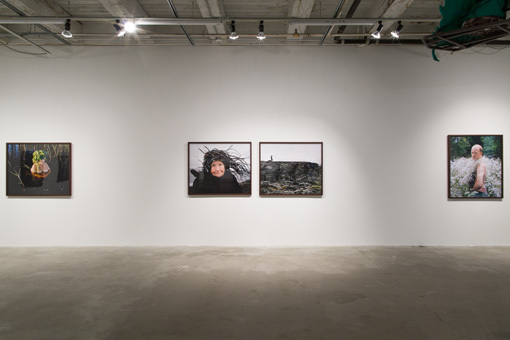 Portrait of the artist as a young leaf presents an overview of the artist’s multi-disciplinary responses to experiences, locations and situations, all of which highlight her ability to examine the silent, dynamic potential that exists between people and the world around them. For Eyes as Big as Plates, Ikonen collaborates with photographer Karoline Hjorth to create a photographic series that documents older inhabitants in remote landscapes around the world. The on-going project, which has taken the artists to Norway, the US, Iceland, the United Kingdom, France, Faroe Islands and Finland, was inspired by Scandinavian folklore. 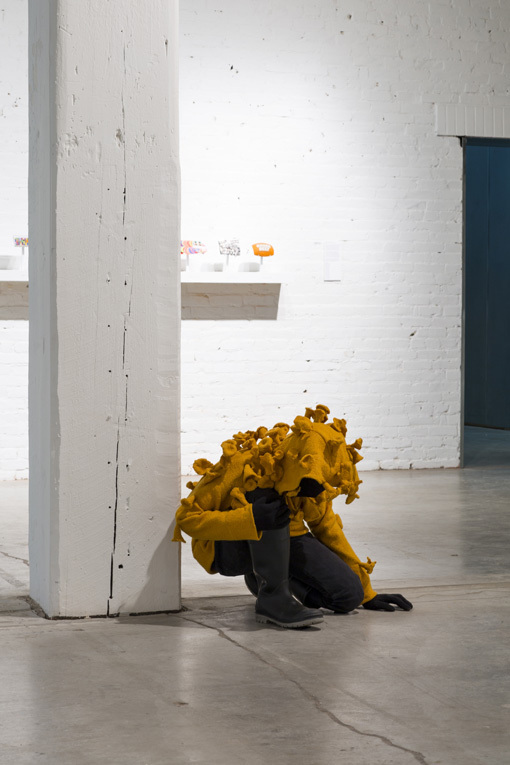 Here nature acts as both content and context: characters literally inhabit the landscape wearing sculptures they create in collaboration with the artists. The camera captures the “mythic” time embedded within the image and the participants’ mental transition as they become one with their wearable sculpture and their natural surroundings. 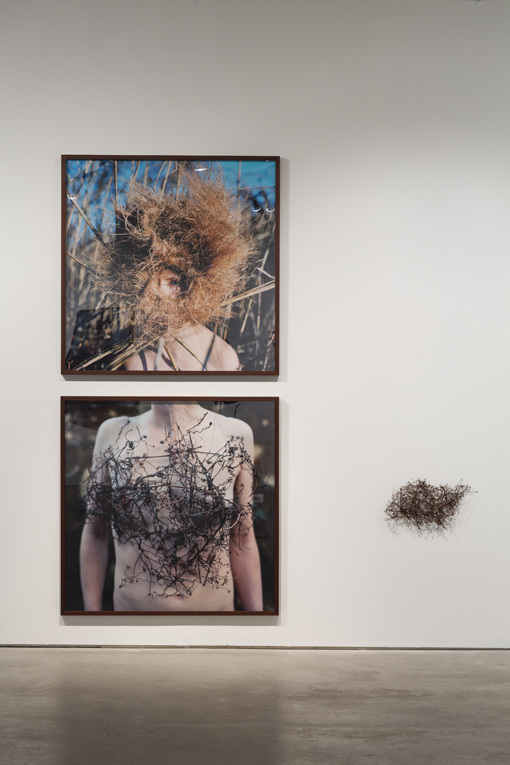 In her performance-based work, Ikonen becomes a nymph of the natural world taking on the identities of natural elements such as leaves or snowflakes. Whether as a leaf sitting dejectedly in a barren tree or a snowflake melting in warming weather, Ikonen deftly communicates the sweet sentimentality inherent in the changing of the seasons or the profound sadness prompted by climate change. There is no “getting back to nature”; there is only existing with and within it in its current, impermanent state. Ikonen’s most recent project, Successive Lines, similarly examines seasonality, although in a wholly different manner. For this year-long series, she created wearable camouflage for each month. They cumulatively work together to create a tall, slowly unraveling column, much like a totem pole or exquisite corpse, both of which involve assembling images into a coherent whole. Here, people are not completely themselves, and frequently only a glimpse of their limbs, torsos or faces is visible. They exist as part of the landscape, but they do so passively, reminding us that nature is in control of us rather than the other way around. The artist began sending Mail Art in 2003 when Margaret Huber, then second year illustration tutor at the University of Brighton, UK, asked her graduate students to send her one postcard per week as a document of their experiences. The only requirement was for the cards to be roughly standard size and to be sent through the mail system. Ikonen made 10 for the project, but following its conclusion, she continued sending them. Over the past 11 years she has sent Huber over 200 “postcards” constructed from a wide range of materials including hair, fish, a piece of broken record and mossy bark, with only some twelve cards never reaching their destination. Today, Ikonen still sends Huber postcards at irregular intervals. 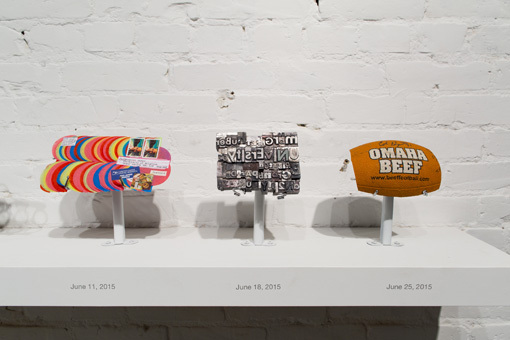 She is continuing this project while in residence at the Bemis Center, and several cards, such as the one made from an Omaha Beef football, are on view before being sent. 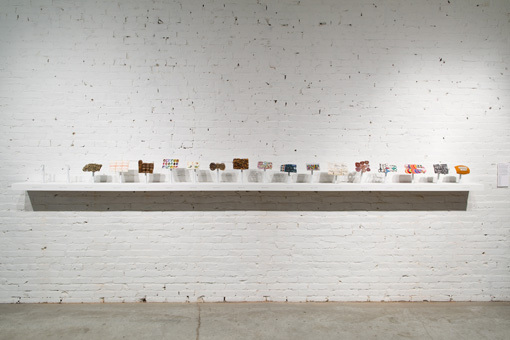 These tangible objects form an on-going visual diary that references the specifics of both her time and locale. Portrait of the artist as a young leaf celebrates the resplendent manner in which Riitta Ikonen brings to the fore the symbiotic relationships that exist between us and the world around us. 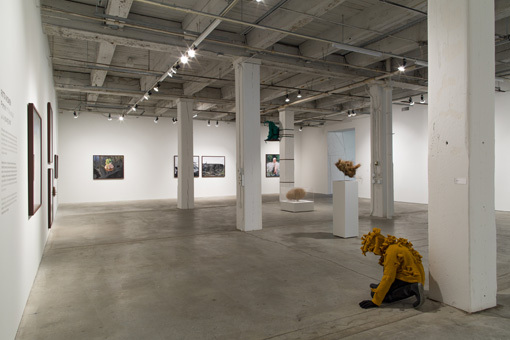 Although the breadth, depth and scope of each project are strikingly different, at their core they share a mystic connection between people and nature, the spaces they inhabit and the experiences they share. Originally from Finland, Bemis Center artist-in-residence Riitta Ikonen completed her BA at the University of Brighton and earned her MA from the Communication Art & Design department at the Royal College of Art in London. She exhibits, lectures and performs internationally with works showcased in exhibitions at venues such as the Museum of Contemporary Art Kiasma, the London 2012 Olympic Park, the Victoria & Albert Museum, Photographer's Gallery, the Institut Finlandais in Paris and the Gulbenkian Foundation. 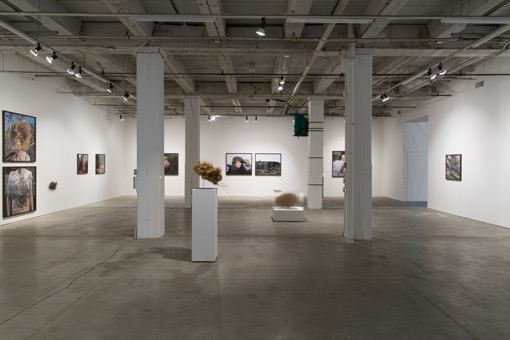 In 2014 the artist was nominated for Ars Fennica, Finland’s largest art prize. 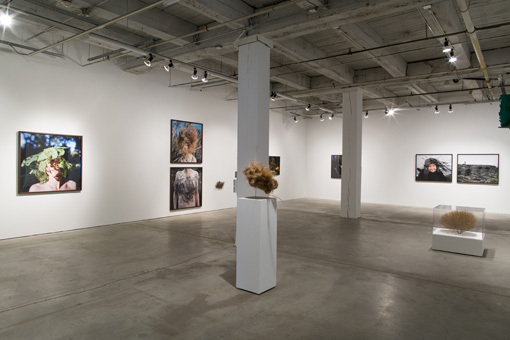 Ikonen works from both New York and Finland.